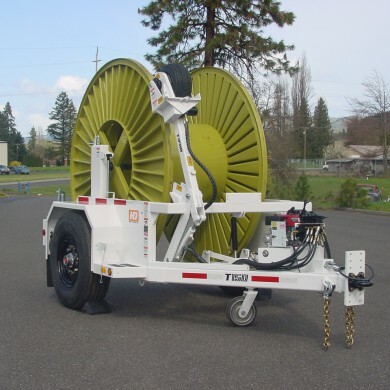 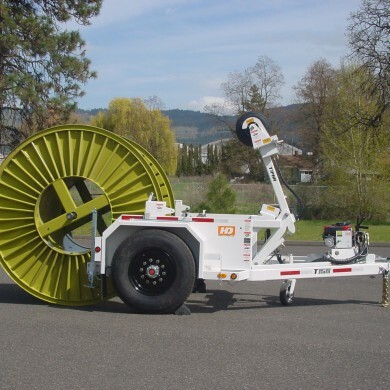 The Hogg and Davis, Inc. Model T150 Cable Reel Dolly is an open yoke unit designed for low center of gravity reel hauling. 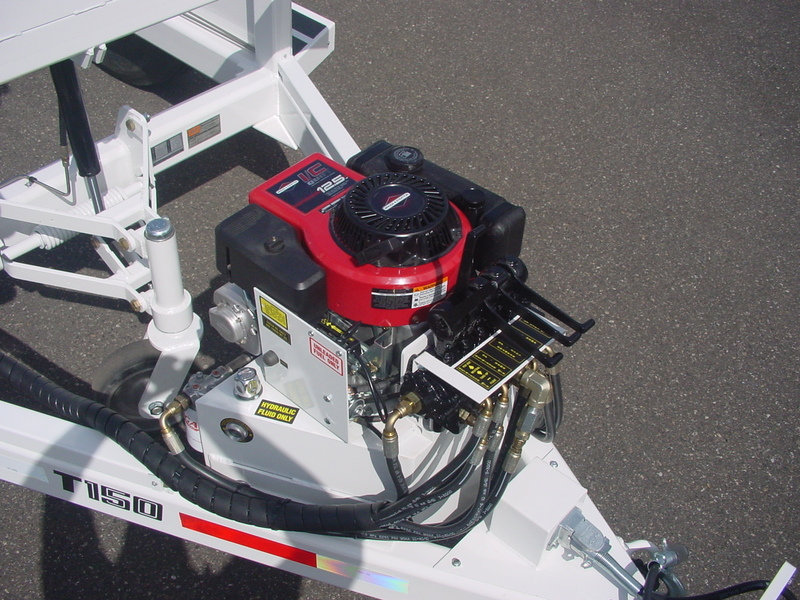 It offers operating ease and simple maintenance. 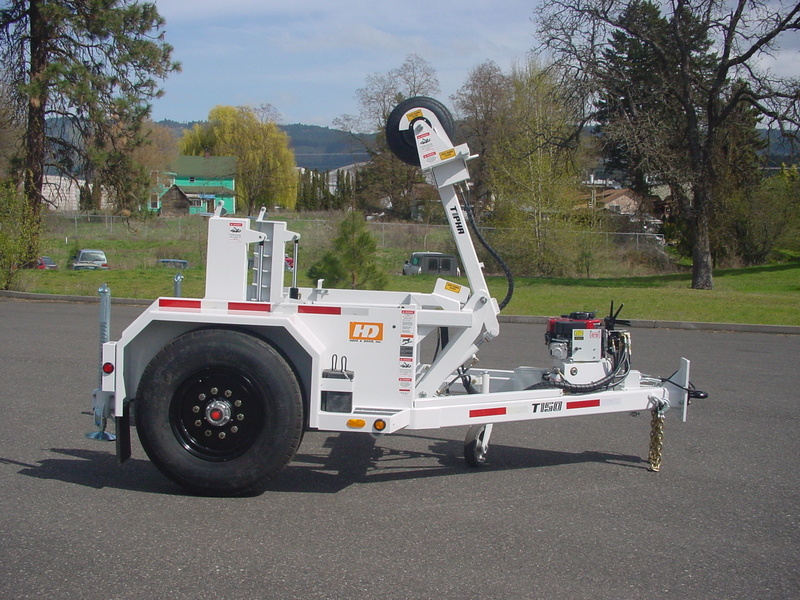 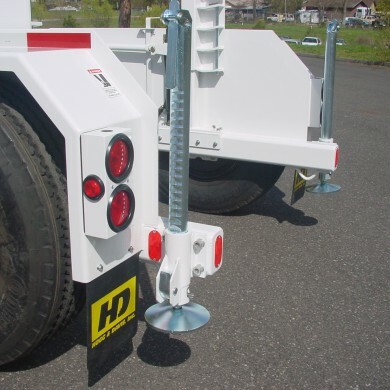 The 4” x 6”, 1/2” wall tubular frame, super-structure and heavy duty fenders and panels are integrated into a structurally strong and rigid unit designed for years of rugged service. 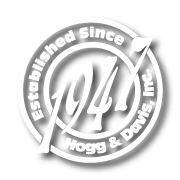 it is backed by the years of experience, knowledge and quality which Hogg and Davis, Inc. represents. 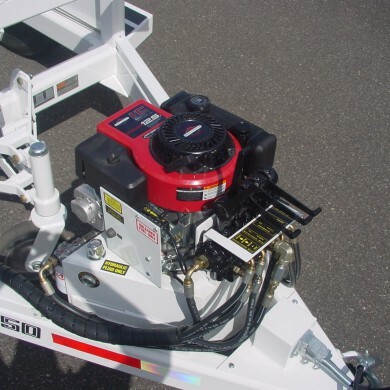 With a 4-cycle, single cylinder, overhead valve, air-cooled, gasoline, pressure lubricated, with oil filter, vertical shaft, aluminum head and block engine. 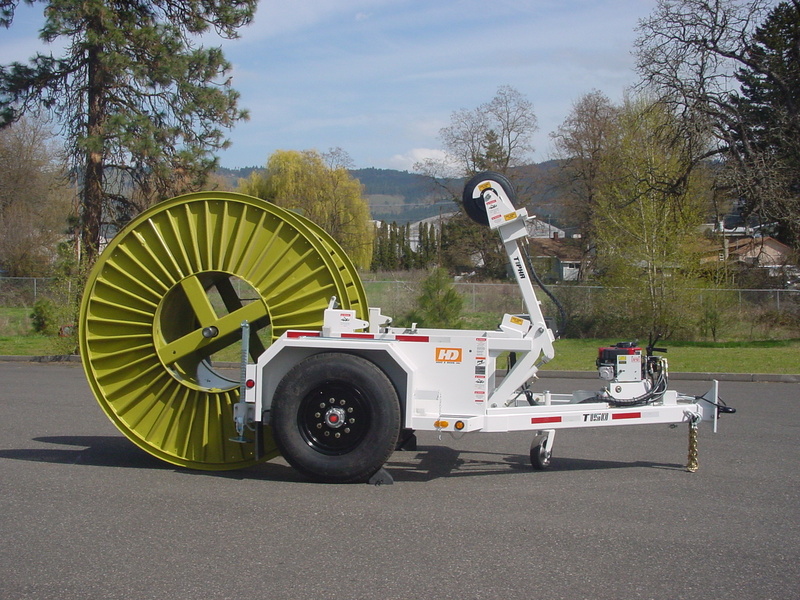 Mounted on a 15-gallon hydraulic reservoir with submerged hydraulic pump. 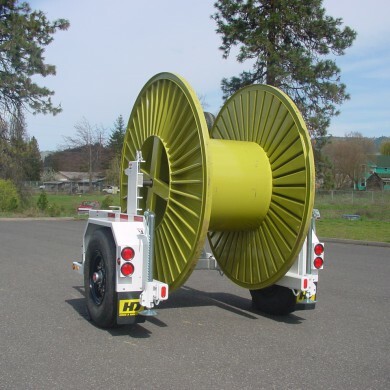 Electric start with rope crank for back up. 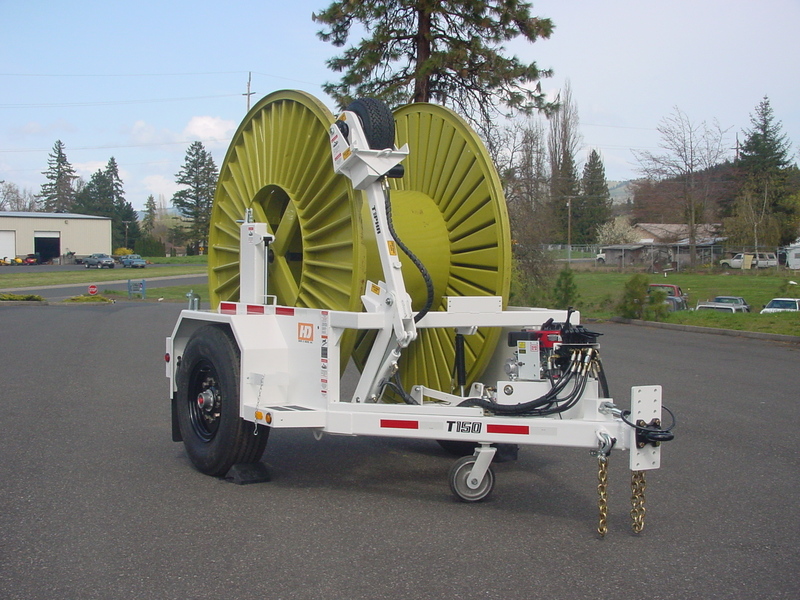 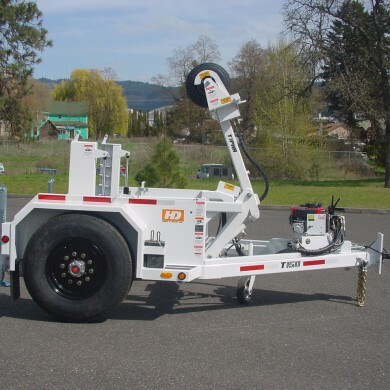 The hydraulic retriever is designed to provide quick and economical retrieval of wire and cable when used in conjunction with the T150 Cable Reel Dolly. 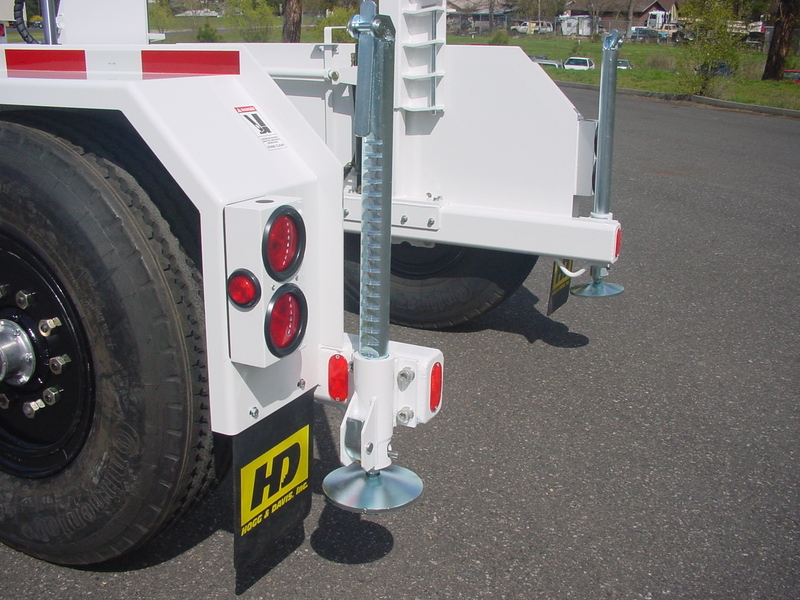 Capable of developing up to 2,000 lbs. 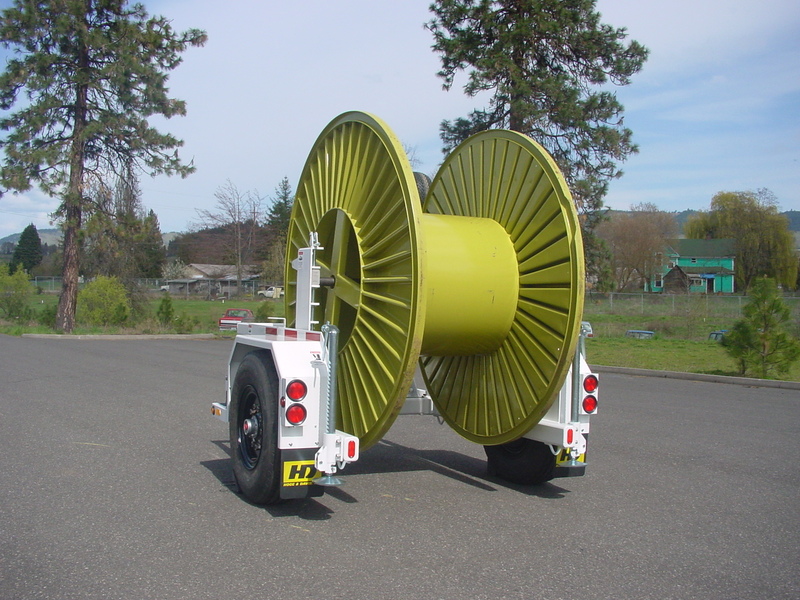 bare drum pull, the retriever is ideal for winding tails, open wire, dropped spans, etc.